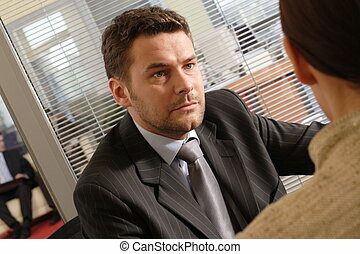 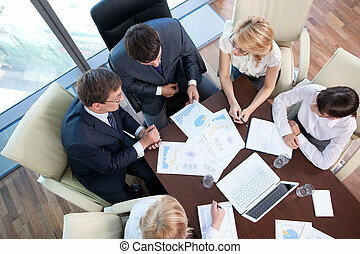 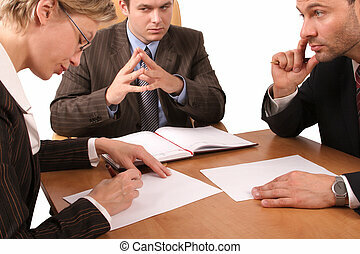 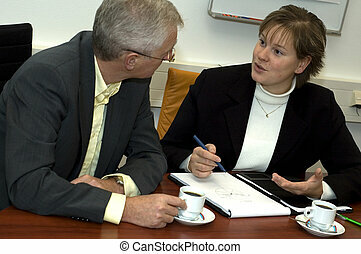 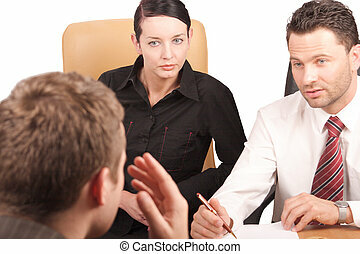 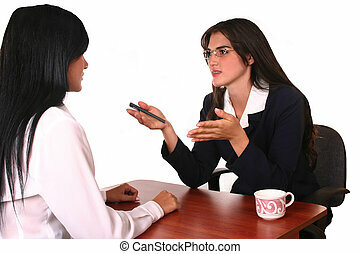 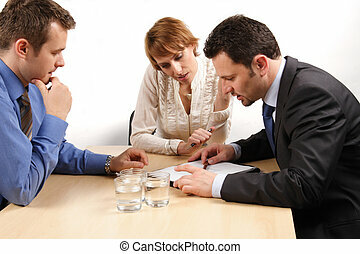 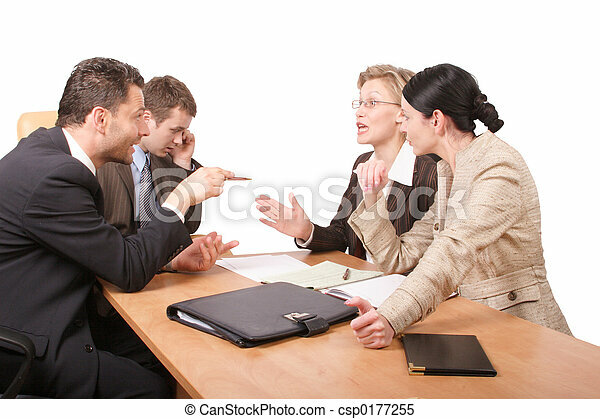 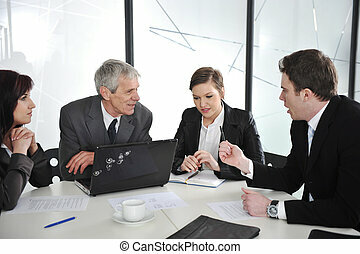 Business negotiations - 2 men 2 women sitting at the desk in the office. 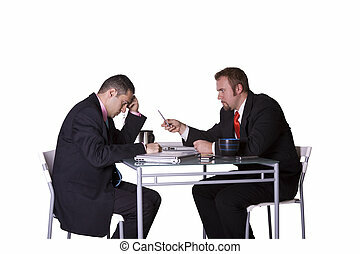 Two business people discussing. 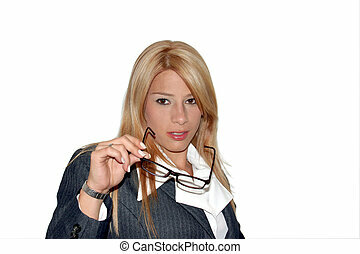 Focus is on the woman. 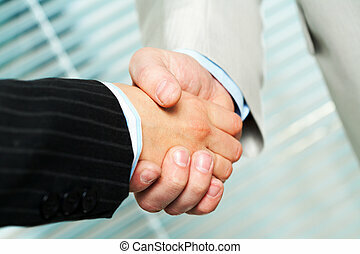 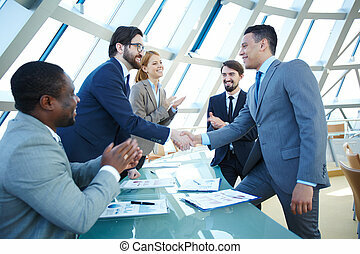 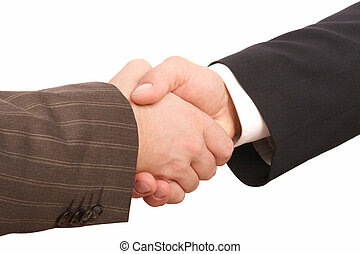 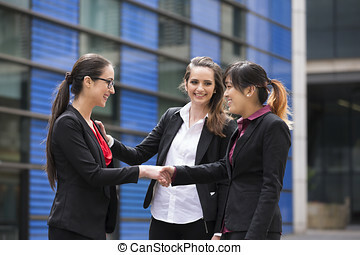 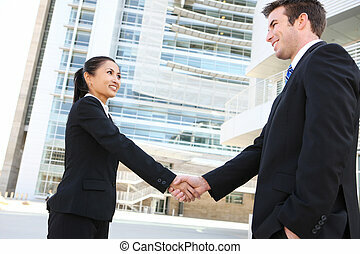 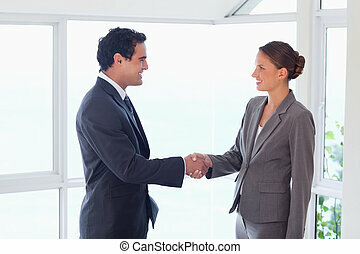 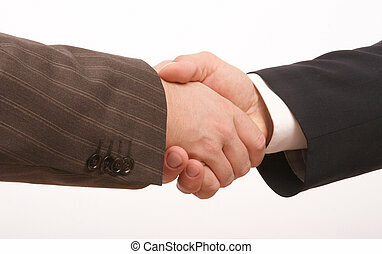 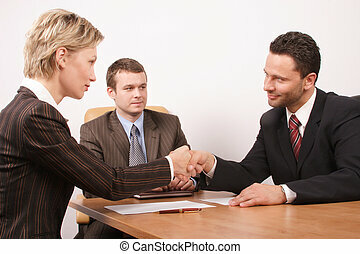 Caucasian Business women shaking hands. 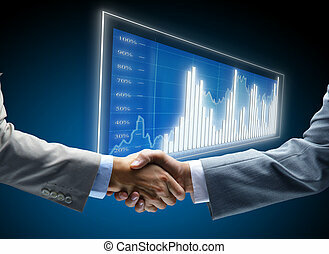 Business concept. 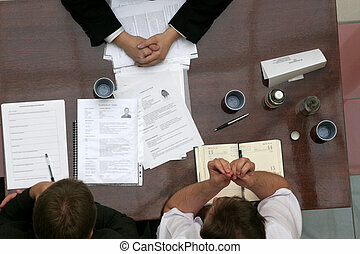 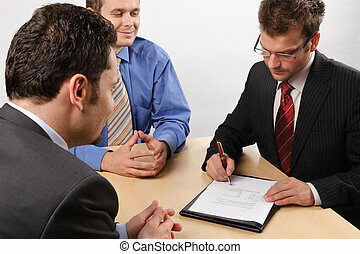 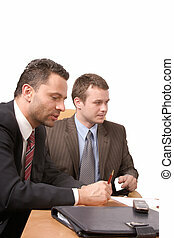 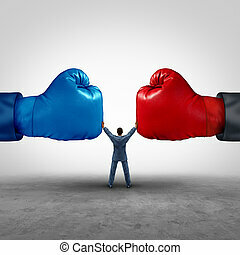 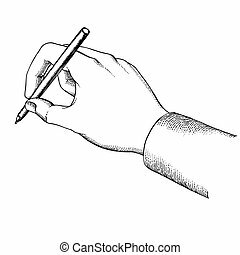 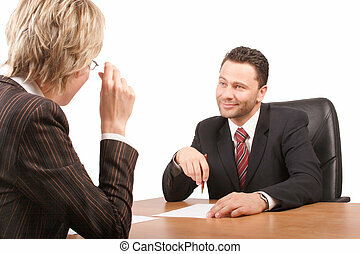 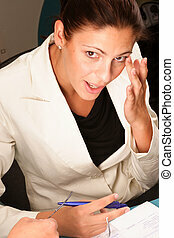 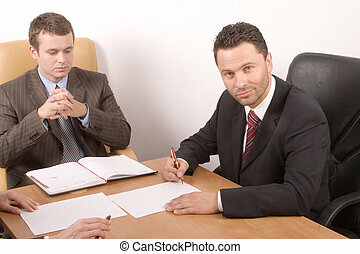 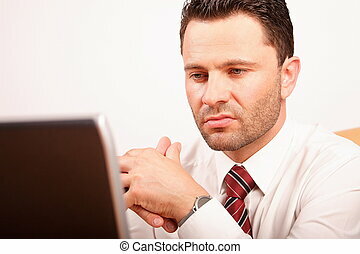 Businesspeople negotiating and signing a contract.